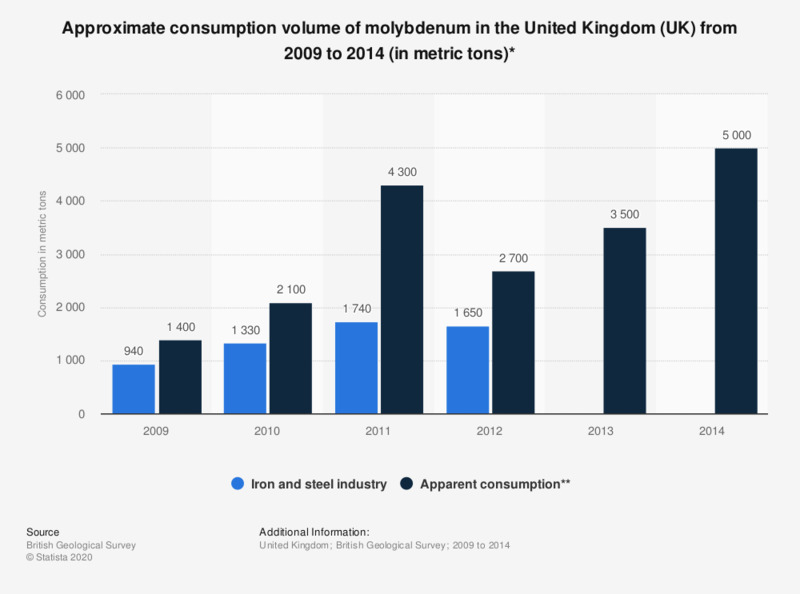 This statistic illustrates the annual consumption volume of molybdenum metal content in the iron and steel industry and the apparent consumption volume in the United Kingdom (UK) between 2009 and 2014, in metric tons. In 2012, 1,650 metric tons worth of molybdenum was consumed in the iron and steel industry in the United Kingdom. Statistics on "Beer consumption in the UK (Kantar Media TGI)"